See London’s River Thames at its most magical, on a 1.5-hour Christmas cruise with a festive-themed lunch or afternoon tea included. Taking place in wintery November and December when the river is aglow with festive sights, your cruise takes in sights such as Big Ben and the London Eye, specially illuminated for Christmas. 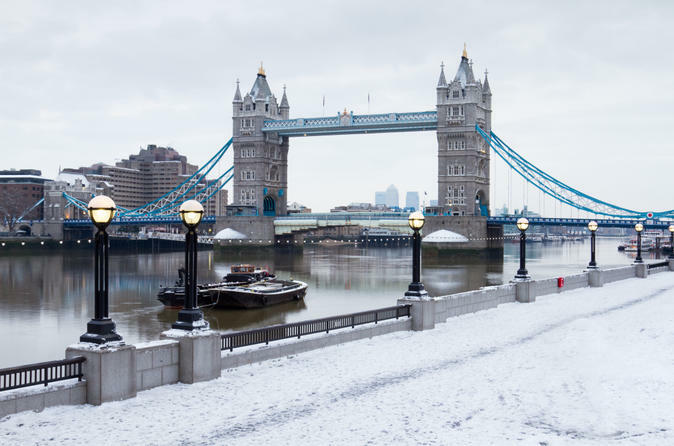 Listen to onboard commentary about the top London attractions near the riverbanks, and feast on a 2-course Christmas-themed lunch or afternoon tea with mulled wine. There's no better way to see the sights of London than from the river! Enjoy cruising underneath the iconic Tower Bridge while getting into the festive spirit.